Pantry Medicine's registered and licensed dietitians/nutritionists have a unique approach to nutrition with careful consideration to the entire cycle of nutrients: how and where the food is grown, how it is processed or prepared and ultimately the food’s metabolic function within the body. We recognize individuals have very unique needs based on age, genetics, physiological, and anatomical differences. Our goal is to find personalized FOOD BASED SOLUTIONS to both acute and chronic health concerns. Not all diagnoses can be addressed through food alone so we aim to provide interdisciplinary team based care with all of your current health care providers. In a world of confusing and sometimes overwhelming nutrition information, we aim to simplify and to TEACH not TELL. 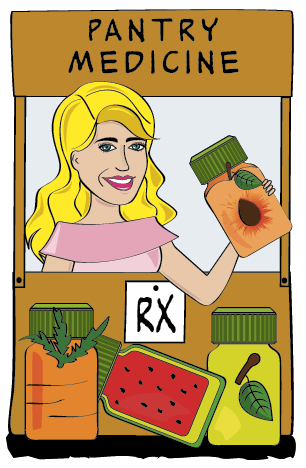 Pantry Medicine empowers individuals to be both the steward and advocate of their nutrition and overall health.